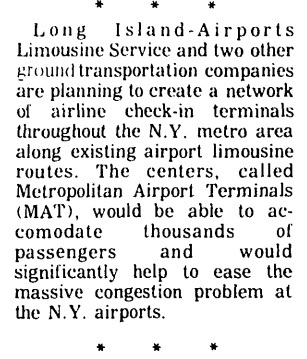 From the June 24, 1982 issue of the Sag Harbor Express which talks about expanded Summer Service of the 10A,10B, and 10C. 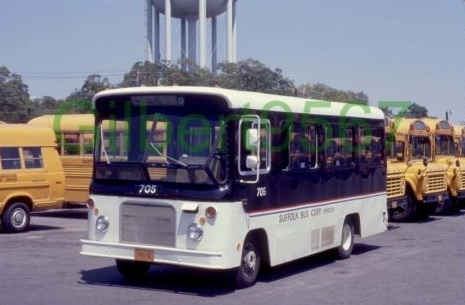 It also makes mention of the S94 going to Bridgehampton. Wait, wait, wait...did I read that correctly? Did that article say that the 10A had 10 runs? In 1982? What a drop off in 35 years. Though that was only for the summer. The rest of the year it had 5. I think the big question is why did they stop the extra Summer service on those routes. The bigger question was the fact that the 10A even had 5 runs. Wow! Sure love to have seen that back then. I get the feeling that in it's infancy Suffolk Transit had alot more riders then they do now. I mean the 5A ridership literally died away. #334-335 Ex Unknown from Puerto Rico? Long Island Bus Company, Inc.
19xx unknown Make and Model: ?? 1913 unknown Make and Model: ?? This one is a real shot in the dark because I'm unsure of the location but I've taken a stab at it and have begun at the most logical place. The aftermarket Thermo-King air conditioning and four digit fleet numbers tell me that these buses may have come from a large southern tier property. Perhaps one of our many learned readers will recognize #6042's livery which probably was never changed by LIBCO. Photo courtesy of 'ttcbeat' and is available at eBay as item # 381159043988. I realize that much can change in the 40+ years since the picture was taken, but I am not sold on the idea that the location is ISP. When I did a search for LI Bus Co, nothing turned up. If the telephone # is Primrose 5, that translates out to a 775 exchange. I think that the exchange is in Nassau County, not Suffolk. My gut reaction is that the parking lot is too big for ISP, especially since the airport was basically for commuters and the buses don't appear to have any capacity for luggage. Also I started flying out of the airport around 1981 and there were no shuttle buses eve visible. The airport is so small that all parking lots are walkable from the terminal. It would be a waste of funds to use transit buses rather than airporter vans. Another issue is that I don't think that there are many trees in the area. Also if you look deep in the background on the left side of the picture beyond the fence, I think that there is a fishbowl in a green livery backed up to the other side. Perhaps its a hint. Although the buses are registered in NY, how do we know that it is ISP they're servicing. Could be under contract to another airport somewhere in NY. 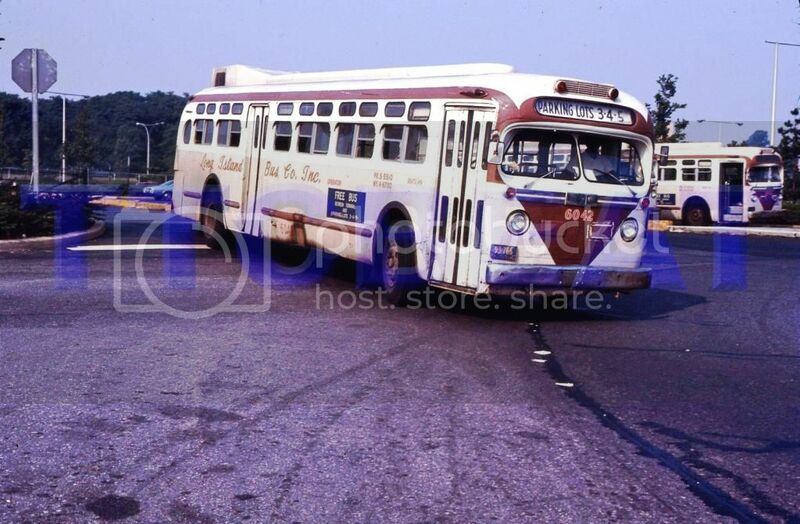 While I still don't know where the photo was taken I did learn something about Long Island Bus Co. They were a School Bus Company that was Headquartered in Nassau but for a few years expanded into Nassau/Suffolk Border. Their Nassau operations were at South 1st and Charles Street in Floral Park, two blocks East and One south of where Schenck Transportation Co, Inc was. In 1962 they opened a Yard on Central Ave in Farmingdale when they won the Farmingdale Bus Contract. They had brought 62 Brand New buses for the contract. The Framingdale Yard is now Ryder Used Truck place with the address of 117 Central Ave, Farmingdale. They lost the Framingdale contract in 1968 to a Company called County School Services. The last I heard about them was at the Farmingdale yard in about 1970 when they were granted permission to transport Passengers but no mention was said of what type of Passenger service it was, other then it wasn't for School work. At some point they won the Great Neck School District contract from Schenck and they also for a time had the West Hempsted School Contract. I don't know what happened to that but I believe they may have lost that but to who I do not know. That's a Flexette built by Flxible. Thanks Tiny Tim. I made the edit to the roster above. 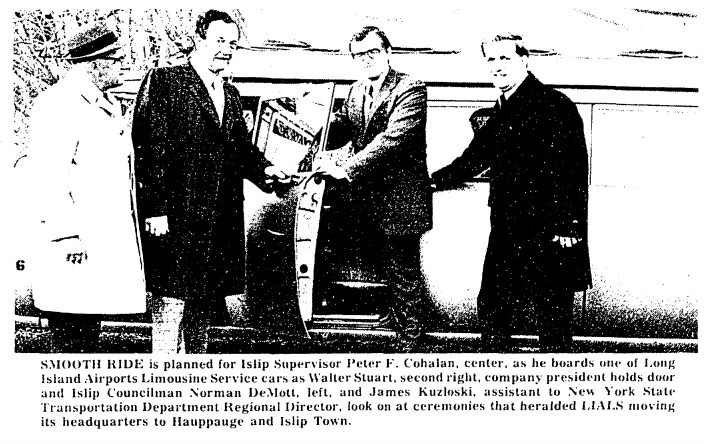 I found this photo in the January 12, 1961 issue of the The Patchogue advance. 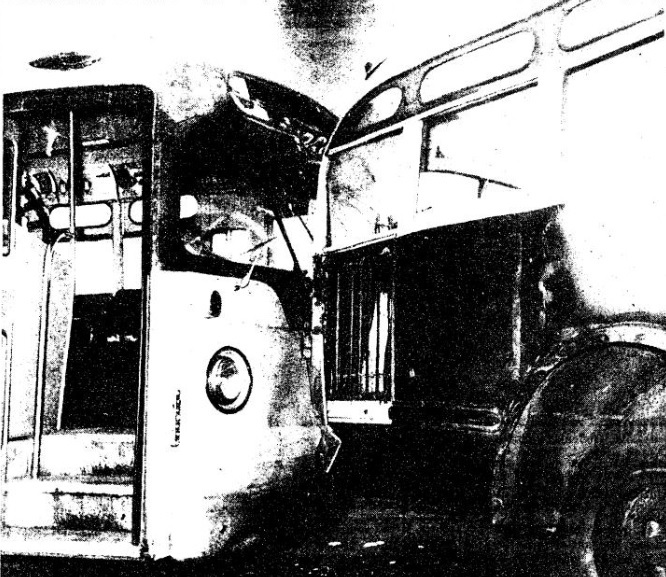 It shows one of Louis A. Fuoco's buses after it was it by a bus that was involved in an accident outside the depot in East Patchogue, and after the bus hit a thrid bus sending that bus through the wall of the Grarge. My guess is that it's a GM old look, so either Louis A. Fuoco brought more buses then what the Production list accounts for or they were brought used. Yesterday a friend found a photo of the company Four Seasons Coach Lines which ran what today is the S40 from 1975-1977. All I know is that the Bus is a New Look GMC. Here are two photos of Educational Bus Transportation/EBT Inc #104 and #105.